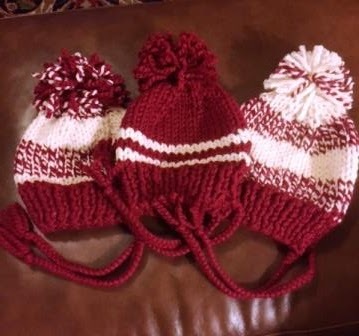 Here are four more knitted hats. These first three were knit from two skeins of Lion Brand Wool-ease Thick and Chunky. 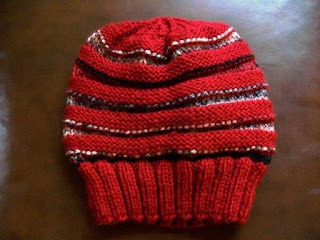 The pattern is Split-Brim Toddler Hat by SheepyShenanigans. This one was knit using I Love This Chunky yarn. The pattern is Slouchy Beehive Hat by Flora Cheung. 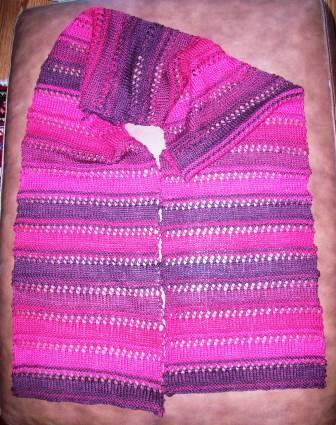 I knit this scarf using Artyarns Merino Cloud Gradients in reds. The pattern is Gradient Lace Shawl by Iris Schreier. 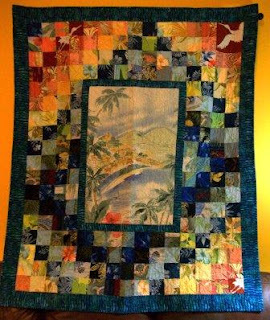 It measures approx 62 in X 10 in. I choose not to add fringe. It will be given to one of my nieces this Christmas. This is the 3rd memory quilt made for my colleague's family from his father's shirts (mostly Tommy Bahama shirts). One of his shirts had this lovely scene on the shirt's back fabric which I wanted to use as the center of the quilt. 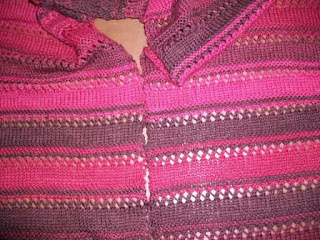 I then used the other shirts in a round-the-world pattern around the center medallion. 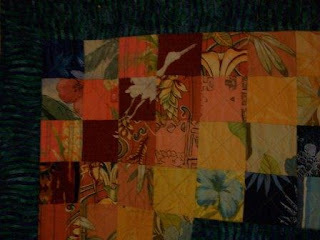 The shirt is machine pieced and quilted. 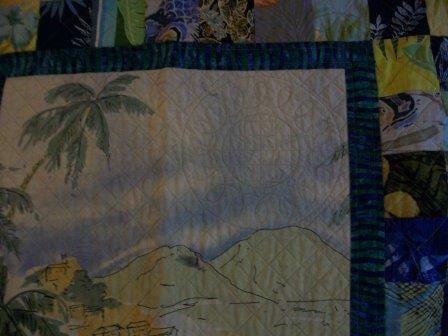 It measures approx 49.5 in X 59.5 in. These two hats were made using the pattern Split-Brim Toddler Hat by SheepyShenanigan. The blue one uses I Love This Chunky! 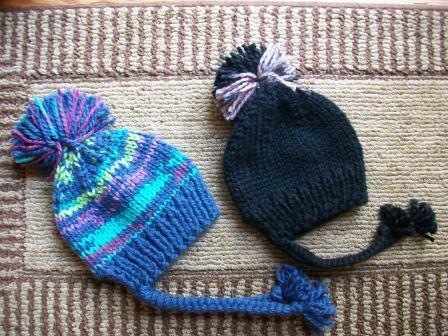 The black one uses Andes Alpaca.